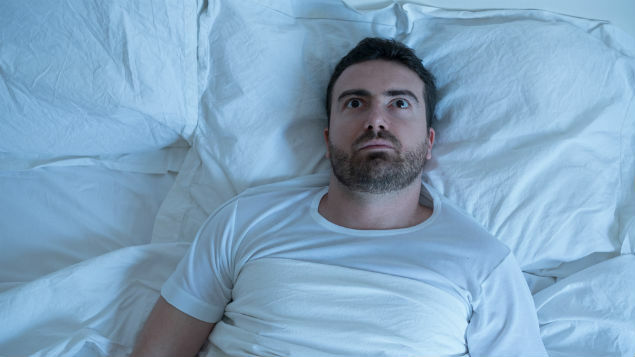 Employers are increasingly “waking up” to the effect poor-quality sleep can have on productivity and wellbeing, as well as directly on health and safety. A new toolkit from Public Health England and Business in the Community outlines why it makes good business sense to offer help in this area, and how to go about doing so. Justin Varney explains. We all know that, if we have a bad night’s sleep, the next day we’re just not at our best. We are often more irritable, find it hard to concentrate or don’t perform as well as usual and the longer our sleep is disrupted the worse these impacts get. These individual symptoms play out for employers in terms of the direct impact they can have on productivity, poor customer service both internally and externally and increased risk of accidents in the workplace. Because of this, we’re seeing more and more businesses (in England and globally) taking an interest in the specific impact of sleep deprivation or disruption on the health and wellbeing of their employees and the implications for productivity and competitiveness. This is supported by reports such as that by Rand Europe using data from 62,000 people in five major economies which concluded that the economic cost of tired employees (being less productive or absent from work altogether) amounted to almost 2% of GDP. We all need sleep, as it is essential for maintaining levels of cognitive skills such as speech, memory and innovative and flexible thinking. Going back to basics, sleep is a period where our body recharges, repairs and restocks itself, so when an individual is sleep-deprived this recovery time is lost. Although we can cope with sleep loss for a couple of days, eventually the body just can’t keep limping on without this essential recovery time. Shift work and night-time working come to mind when you start a conversation about sleep. But we all know that sleep deprivation isn’t just an issue for people working antisocial hours. For instance, stress at work or worries at home can keep us awake at night, and becoming a parent is a very common reason for sleep disruption, so it makes sense for all employers to think about the broad range of causes as well as potential action to help improve sleep quality and duration. If we think about the importance elite athletes and sports teams place on getting adequate sleep before a match or event, you can see how achieving your potential is closely linked to getting a good night’s sleep. Links between a lack of sleep and high blood pressure, heart disease and diabetes are emerging. A lack of sleep also makes us more vulnerable to infection and raises the risk of accident and injury. There are many reasons why you might get less sleep than the recommended 7-9 hours a night. Work-related stress, working anti-social hours, illness and injury, getting older, money worries and personal loss are just a few of the issues that can keep us awake at night. But how do you know if lack of sleep is affecting you at work? Common signs include a general deterioration in your performance, poor concentration or poor memory, as well as being in a poor mood and greater risk taking. Although we all make our own decisions at night when to lie down and go to sleep, there are lots of ways employers can support us all as individuals to get a better night’s sleep, and ultimately help us all to be healthier and achieve our potential in the workplace. Businesses are becoming increasingly aware of the impact of sleep deprivation on the health and wellbeing of their employees, and the knock-on implications for productivity. They’ve asked for information, evidence-based advice and steps they can take to support sleep and recovery in the workplace. That’s why at Public Health England we’ve worked with Business in the Community to produce a range of toolkits for employers, co-produced with businesses. So far we’ve covered topics including mental health and musculoskeletal problems which are the major causes of work related sickness, and sleep is the latest one. Central to the sleep and recovery toolkit is the recommendation that businesses create an understanding environment, one where employees can be open with their managers about any sleep-related issues that are hampering them at work. That way line managers and employees can identify the risks to health and wellbeing in your workplace together and gather the right information to help you put plans in place to manage risks. This can be especially important when changes to your work schedule or significant changes like organisational restructuring are planned. The toolkit takes businesses through this process, with information on the importance of sleep, the business case for good sleep and actions which address the causes of sleep deprivation in employees. Of course, many workplace health concerns can be interconnected. Stress, pain from a musculoskeletal issue or depression can all have an impact on sleep, and sleep disruption and deprivation can often be a symptom of other issues. Taking action on sleep issues in the workplace is about considering prevention, like job planning or taking steps to mitigate stressors like night shifts or organisational change, as well as providing support and intervention when sleep issues are identified. As with most health issues, prevention is always more cost effective than treatment and for business the potential gains in terms of productivity, and positive outcomes from avoiding sleep issues, could be significant. 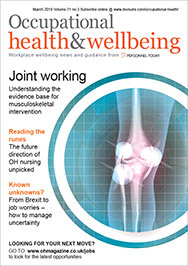 Creating a healthier workplace is about being prepared, being open with your employees and understanding your legal duty of care to employees and to the wider community. Feedback from businesses has helped us ensure the information is pragmatic and practical in the context of today’s workplace culture. Case studies are provided by a number of businesses who are already taking action on sleep including Anglian Water, NATS, Guys & St Thomas Hospital, Royal Mail Group, Yorkshire Building Society and Unilever. These are, I appreciate, mainly large employers. But the nature of their businesses means the practical steps recommended are often just as applicable to small and medium businesses where health and wellbeing issues are just as crucial and business critical. At the core of the toolkit is a clear thread emphasising the key role of line managers and job planning to mitigate potential risks and provide support when and where staff need it. All our toolkits discuss actions that employers – public, voluntary or private sector – can take to create a healthier and more productive workforce, helping employees to be their best and ultimately making their business stronger. There are steps you can take if you feel you’re showing signs of any of the above and think it may be down to not sleeping enough. This is where “sleep hygiene” comes in. Don’t be confused by the phrase “sleep hygiene”. It’s not about how clean your bedding is! Rather, sleep hygiene is about creating the ideal conditions for a good night’s sleep. Everyone is different, but good examples include sticking to regular bedtimes and making an effort to relax as the time for sleep approaches as well as avoiding heavy meals, caffeine and alcohol late at night. Think about your use of technology too – this isn’t just a late-night distraction (or the cause of stress if you’re always checking work emails). Blue light from computer screens, tablets, smartphones, LED lighting and some TVs can keep you awake by suppressing the sleep-inducing hormone melatonin. Finally, if an individual is still finding sleeping difficult, recognise that there is a range of help available. For example, advise an individual talks to their pharmacist or visits NHS Choices or One You for further information.